MD&M West 2020 Expo is February 11-13. Anaheim Convention Center, Anaheim, CA. Automated Assembly will host a number of new inventions at MD&M 2020. Wire-Write® flexible heaters are manufactured using 100% additive processing. Our heaters can be manufactured on standard films such as Polyester, PEN, or Polyimide. Since we have no chemicals in our process we can also manufacture on Paper, Cloth, Vinyl, or other fun material sets. Designed for low-temperature heating. 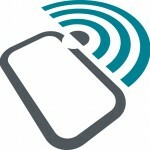 Wire-Write® NFC tags are manufactured using 100% additive processing. Our RFID Tags can be manufactured on standard films such as Polyester and Vinyl. We also manufacture on Paper, Cloth, Vinyl or other fun material sets. Custom NFC Apps, Database, and thermal tracking are perfect for this latest technology.